Strong sunlight belies the coming storm. From the heavy, tumultuous look of the cloud band, the skies are about to open and empty a torrential downpour on the landscape. 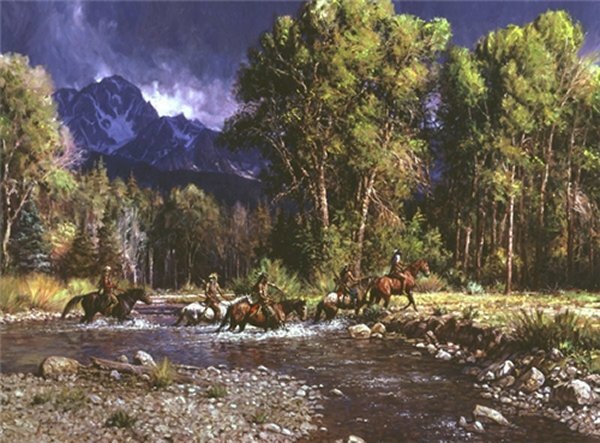 The braves hurry to cross a stream - a stream that will become a raging river in only a few moments.